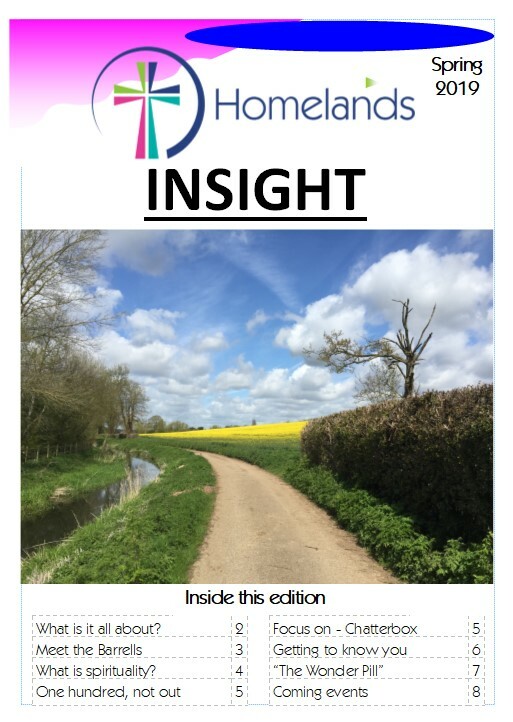 "Insight" is the new magazine from Homelands. As the name suggests, "Insight" offers insight into life at Homelands as well as into questions of life and faith. You can download a copy by clicking on the cover of the relevant issue below. The download will come as a .pdf file which will be opened by Adobe or your default pdf reader. As far as possible, "Insight" will be posted here around the same time as it is distributed in church.